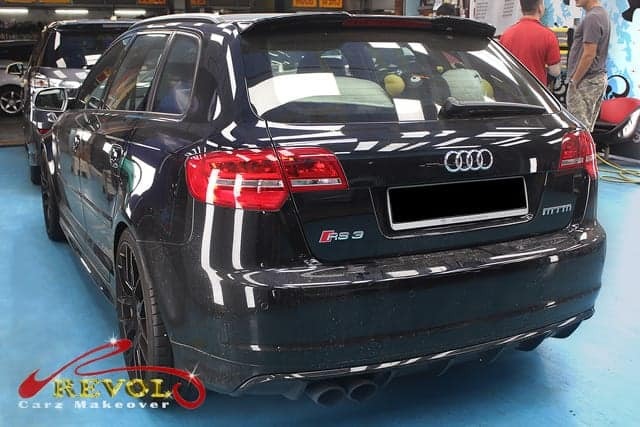 A troubled Audi A5 Sport Back Quattro arrives for engine overhaul. 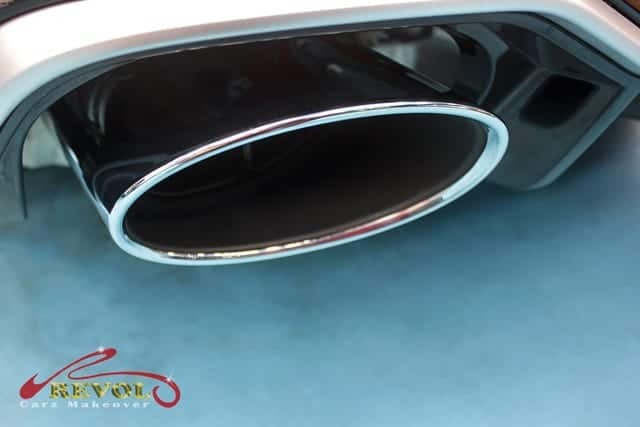 You can tell that your car’s engine is time for an overhaul when it consumes lubricant excessively and even worse, white smoke is also bellowing from the exhaust pipes. Misfiring and compression loss are also other common indications of worn-out piston rings. 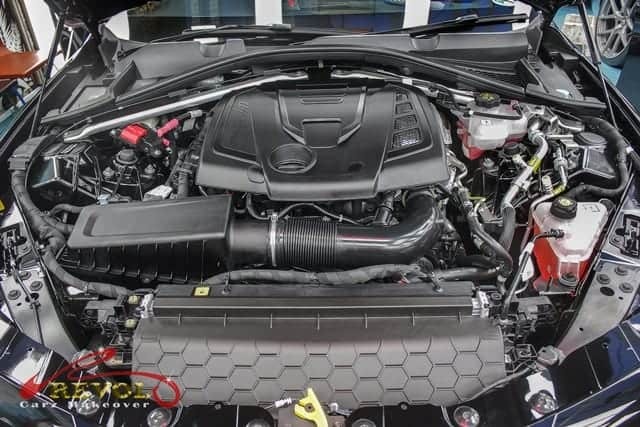 Other extreme signs could be experiencing oil sludge and coolant in your oil pan. 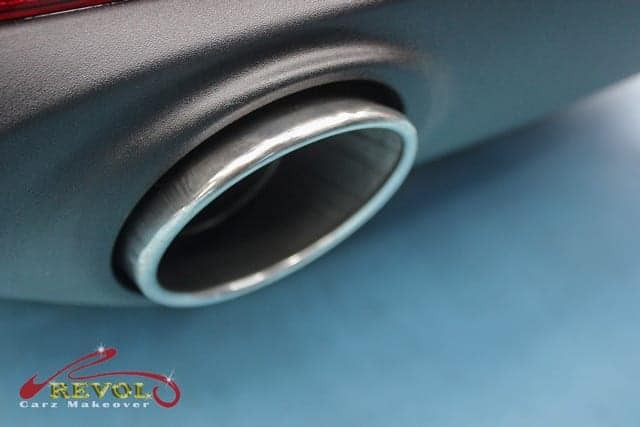 Knocking sounds when the engine is running could possibly mean metal frictions and worn-out bearings. 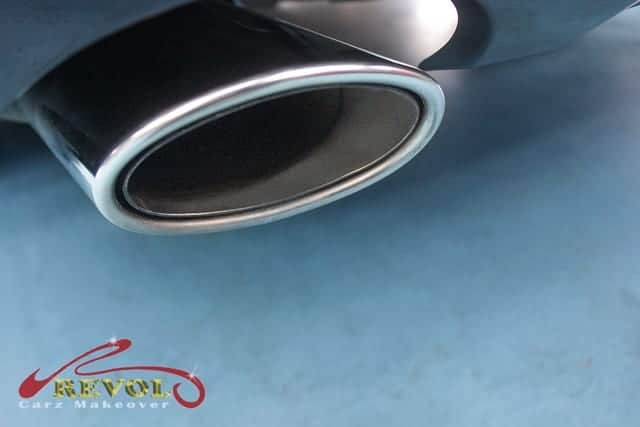 If these signs occur in your car, don’t delay to send your car engine car for diagnosis and evaluated by our professional team at Revol Carz Garage. 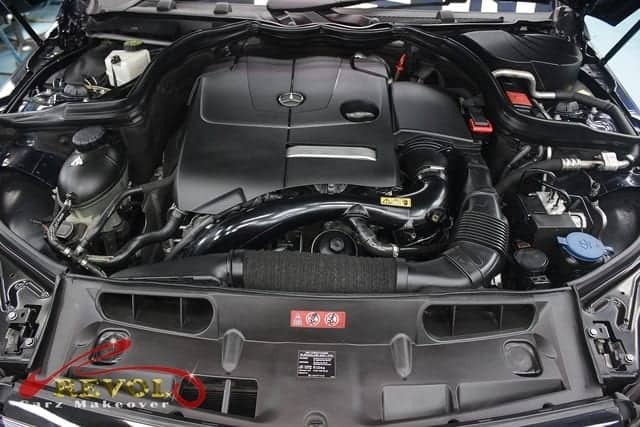 Your car could be due for a major overhaul to get it running like-new again. 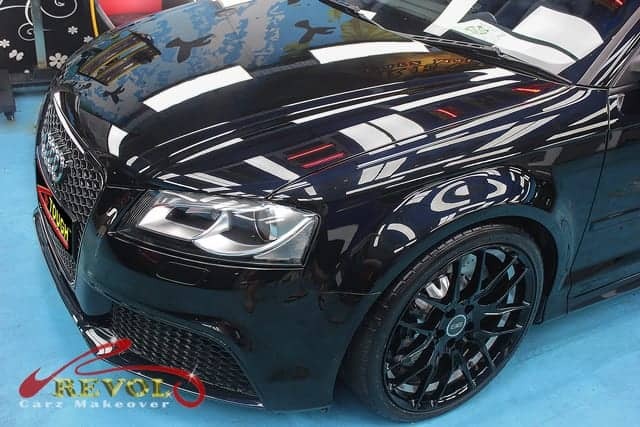 A troubled Audi A5 Sport-back Quattro rolled-in to Revol Carz Garage for a major engine overhaul as it have also clocked reasonable mileage already. 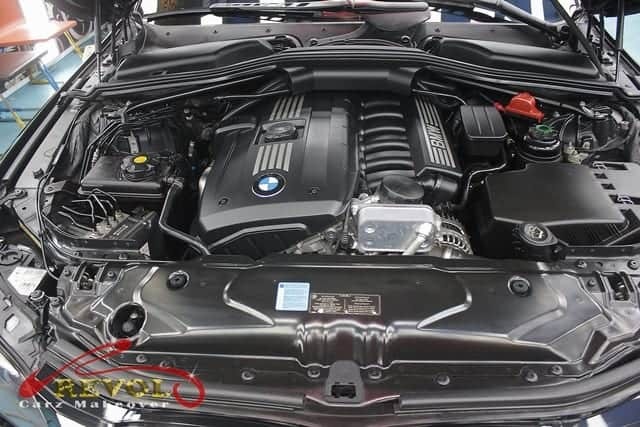 At our well-equipped workshop, your car engine gets our professionally attention with clockwork precision. 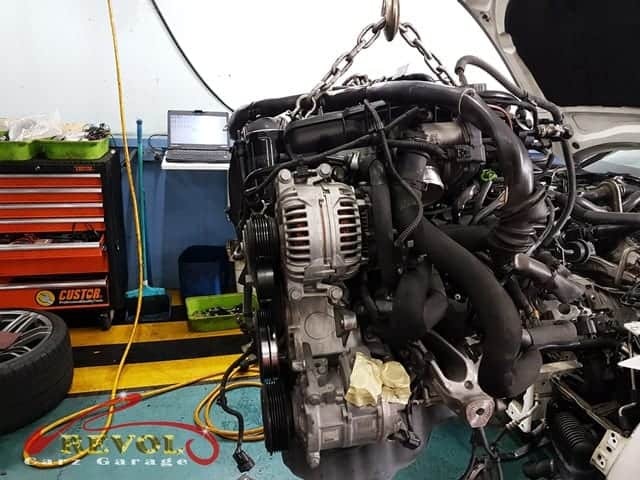 Rebuilding your car engine can benefit you in the long run if the work is by reputable mechanics. 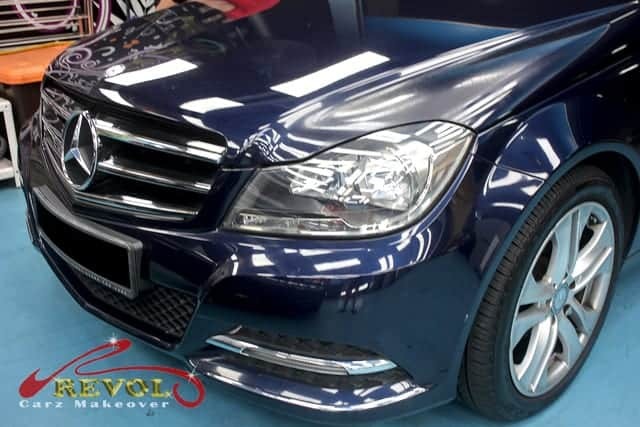 Hop aboard as we invite you to take a virtual tour with us to Revol Carz Garage workshop to see our engine overhaul works in progress. 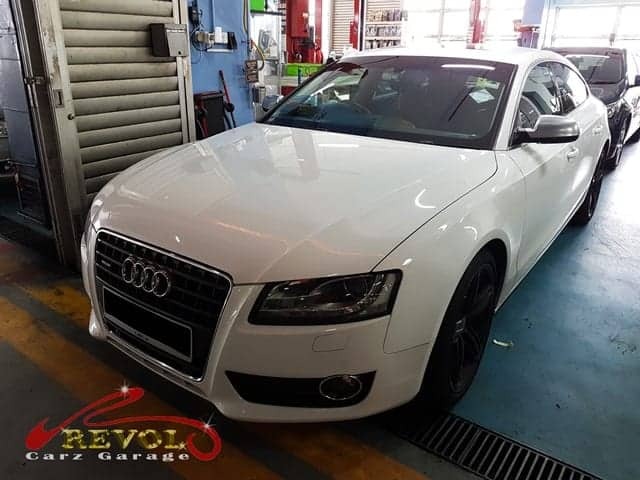 A troubled Audi A5 Sport Back Quattro arrives at Revol Carz Garage for engine overhaul. 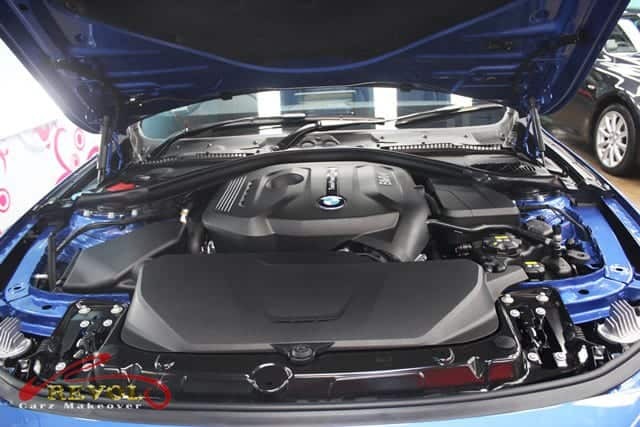 Our professional mechanic first conducts overall checks and take notes of the engine condition. 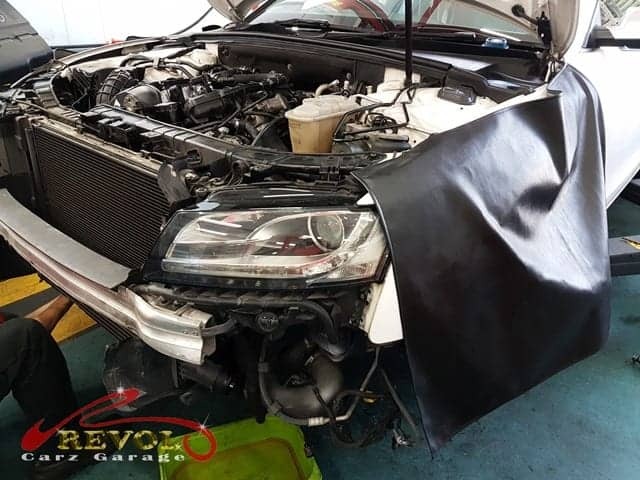 To do a professional overhaul job, the front panel of the car was dismantled to get proper access to the whole engine. The whole engine assembly is carefully lifted out of the car. The engine components are then carefully dismantled step by step. 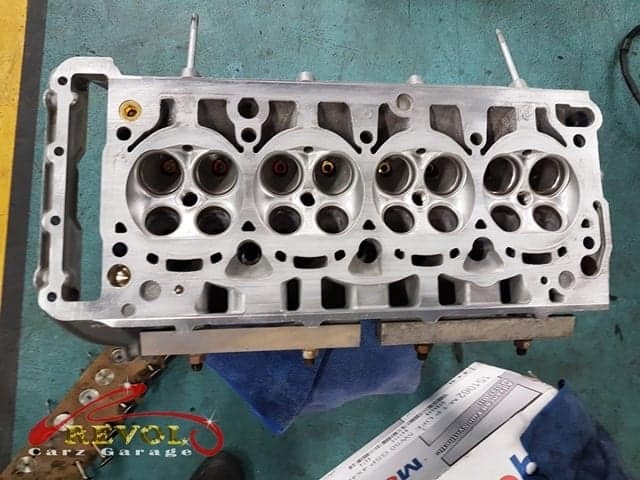 At this stage, we dismantled the carbon-laden cylinder head before the cleaning and polishing process. 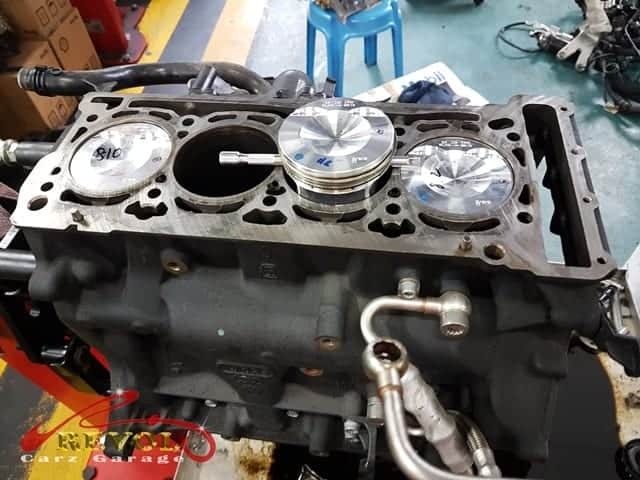 After our professional cleaning and polishing process, the cylinder head looks as sparkling as brand new. 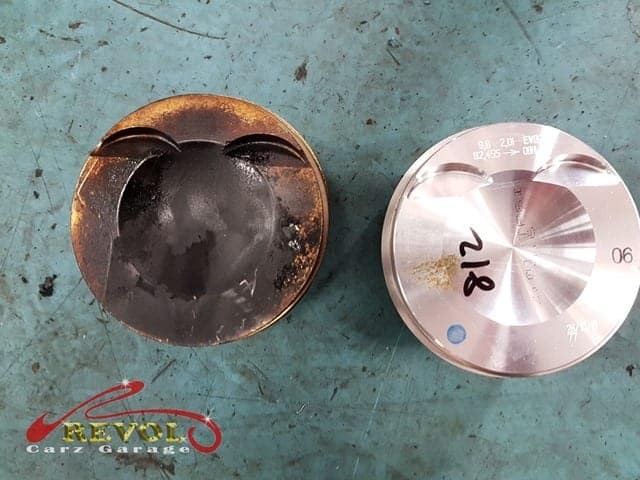 On the left is a worn-out piston compared to a brand new piston at the right. It is heartening to see brand new pistons now ready in place. The engine overhaul is now completed and awaits our QC endorsement check before hoisting it back to the engine bay. 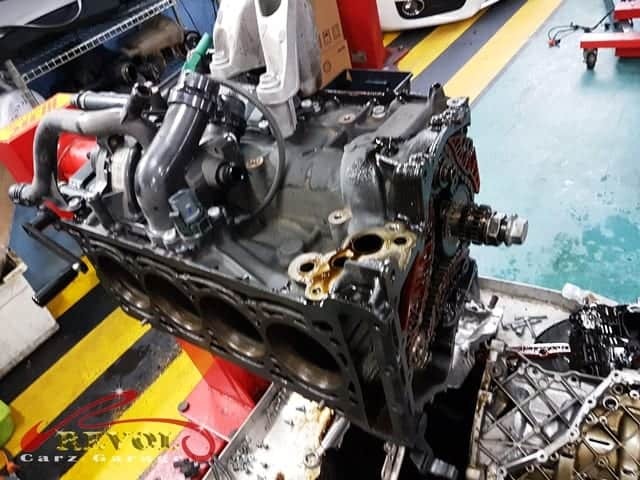 The engine overhaul process is at the final stage. 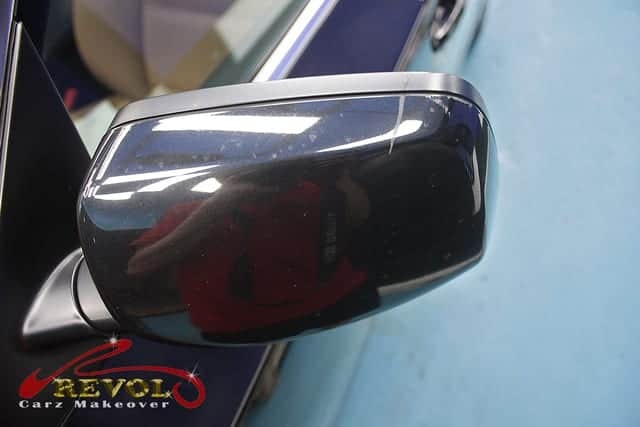 All frontal components are now reinstated with precision. 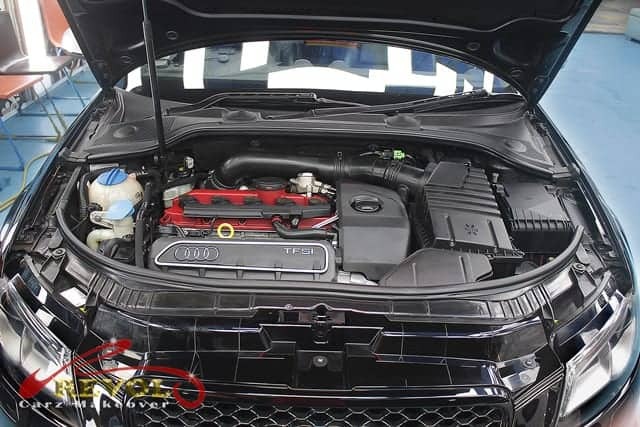 All components double-checked and engine test run are conducted before our QC team give the final endorsement. The finale! 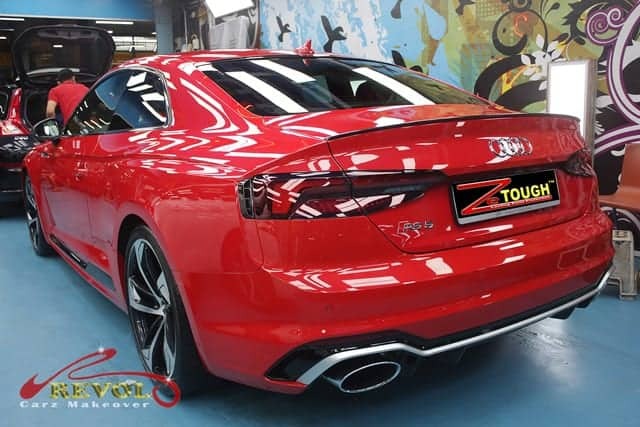 The gorgeous AUDI A5 Sportback Quattro 2.0 has acquired a brand new lease of life with the rebuilt engine that purrs like a new car. 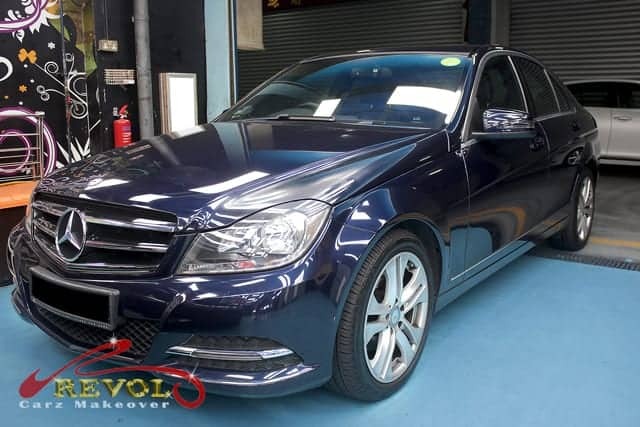 You just got delivery of your brand new car? Congratulations! 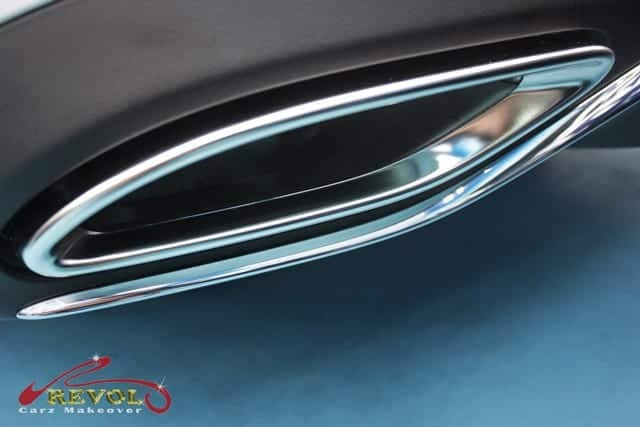 Did you know that, commonly, new car’s original factory clear coat hardness usually ranges from 2H to 4H? 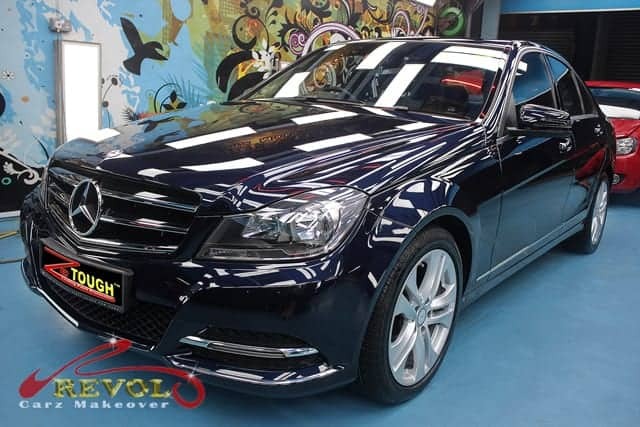 Your new car was probably given a touch-up wax job before it was handed over to you. 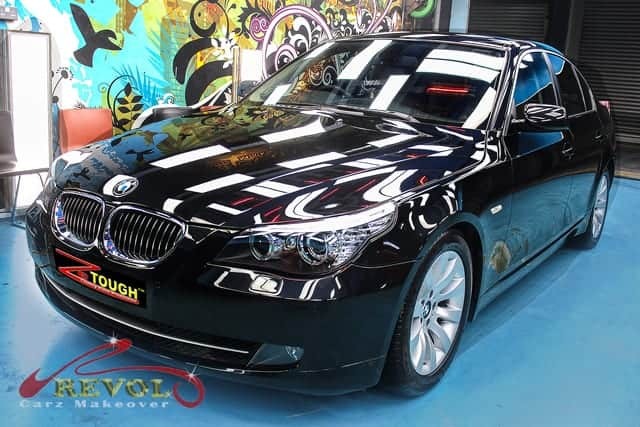 Your major investment deserves the absolute best paint protection. 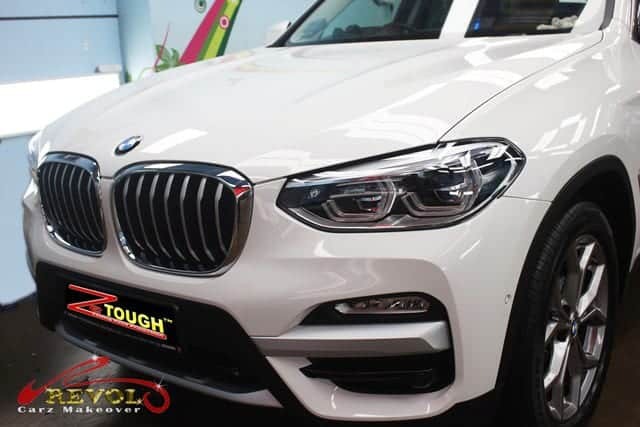 That was why the BMW X3 SDrive20i made a beeline to Revol Carz Makeover for a long-lasting, glass-shield of ZeTough Ceramic Paint Protection Coating to preserve the original factory paint. 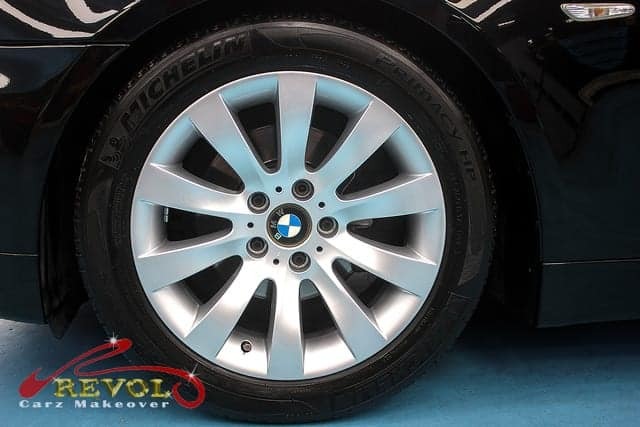 The BMW sDrive20i is the first new-generation X3 with rear-wheel drive. 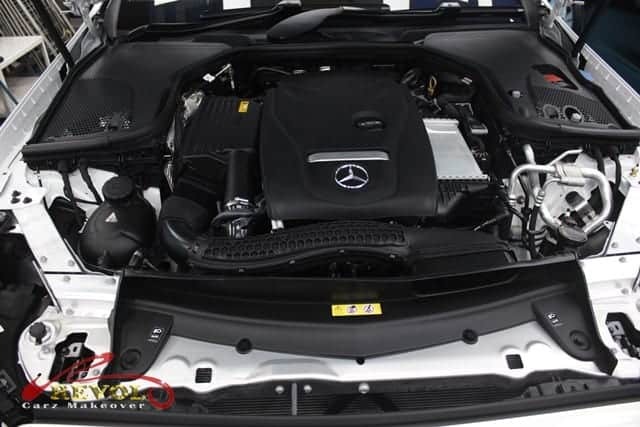 Power comes from a 2.0-litre 4-cylinder inline 16-valve twin-power turbocharged petrol engine. 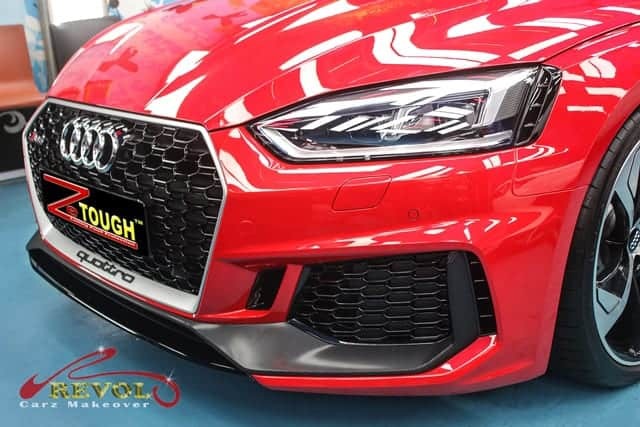 It boasts 135kW of power and 290Nm of torque and paired to the intuitive and smooth eight-speed automatic transmission. 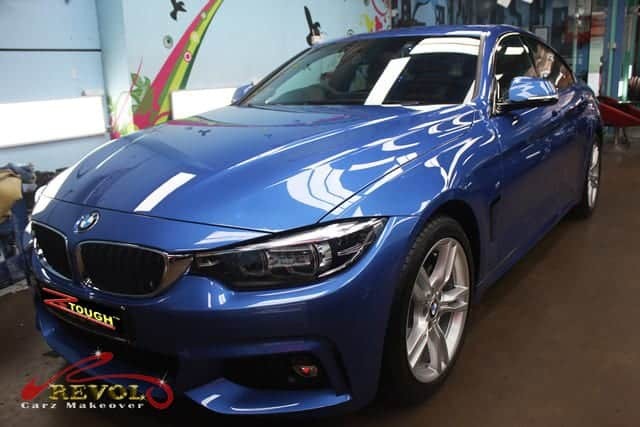 The century acceleration from standstill is achieved in 8.2 seconds with a top speed of 213 km/h. 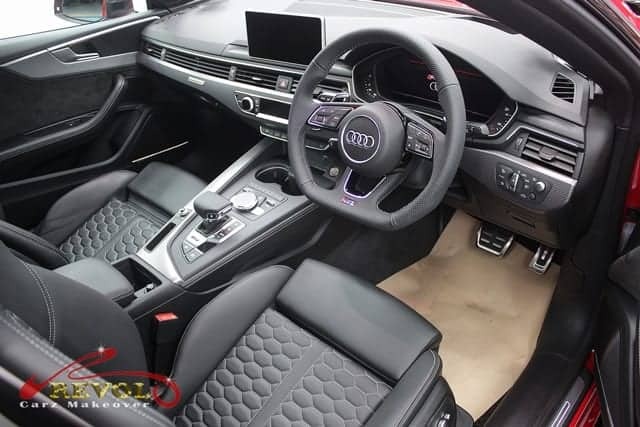 Standard equipment and features are 19-inch alloy wheels, sharp LED headlights, power tailgate, head-up display, business satellite navigation, Bluetooth, latest iDrive6 infotainment platform and three-zone air conditioning. 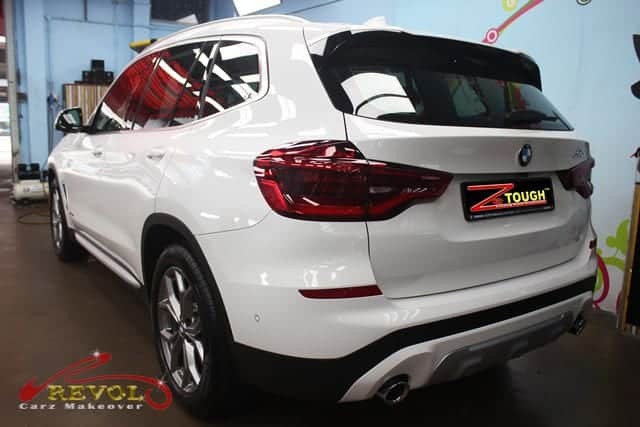 Hop aboard as we take you on a virtual tour to view the breathtaking performance of ZeTough Ceramic Paint Protection Coating that has transformed the BMW X3 SUV into a brilliantly smooth shine of a showroom car. 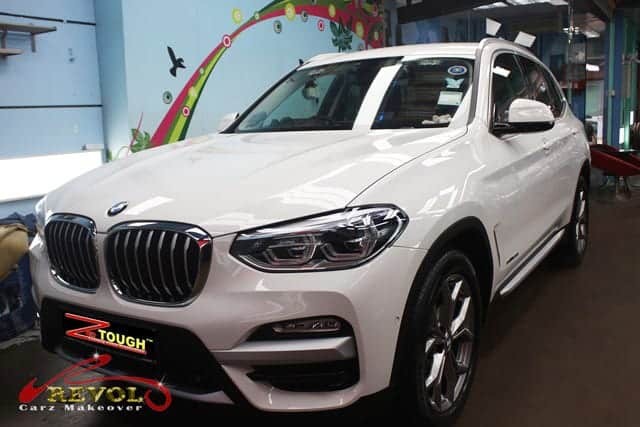 The BMW badge, the iconic twin-kidney grille and the gleaming paintwork say volumes about the X3. 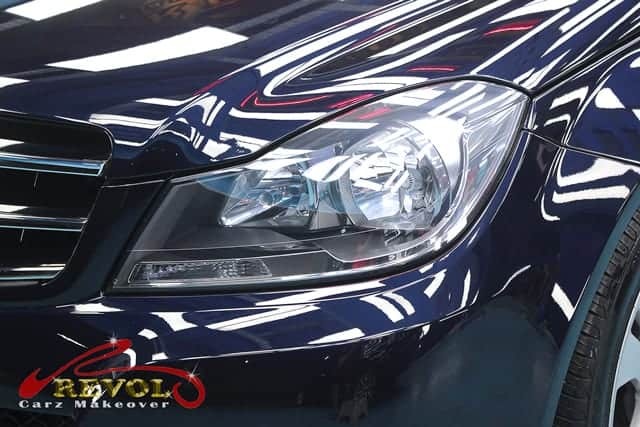 The crystal clear headlamps have been passionately polished by hand. 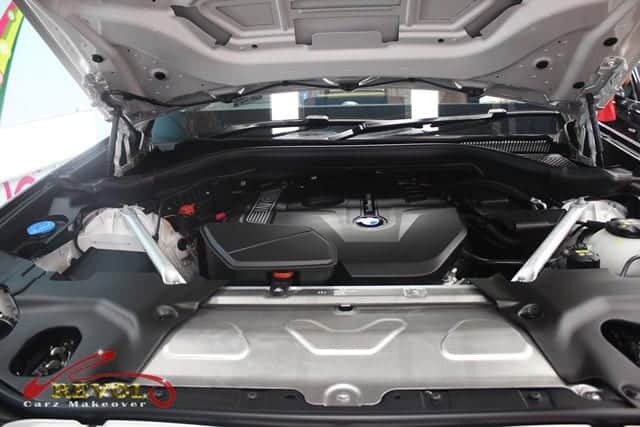 Our passionate detailers take great pride and joy to present an ultra-clean engine bay. 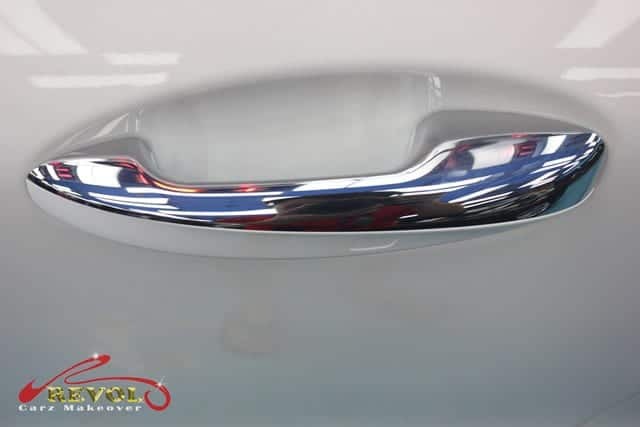 Perfectly cleaned and polished door trims are detailed to impress. 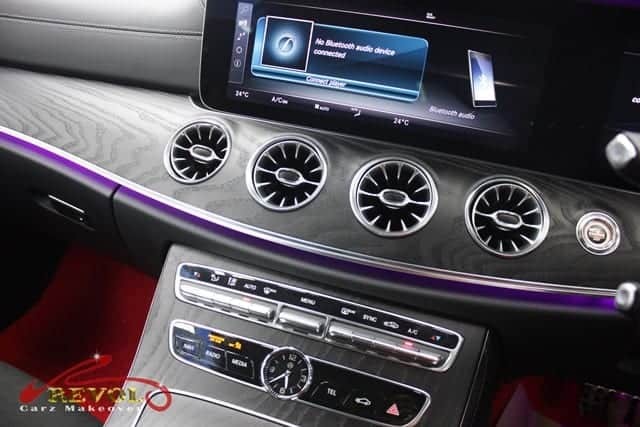 Sparkling detailed Navigation system with 6.5-inch central display. 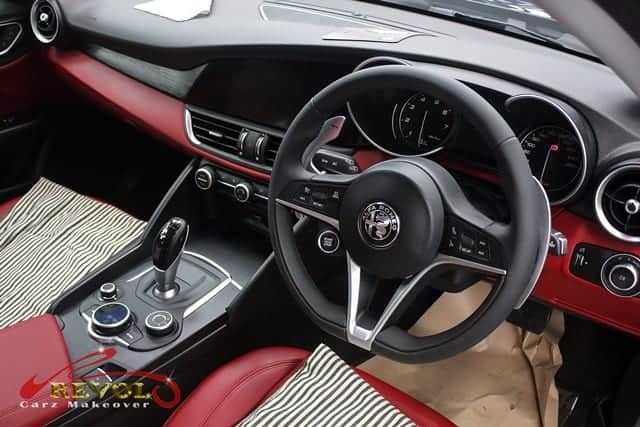 The central console with rotary dial is well polished and shiny. 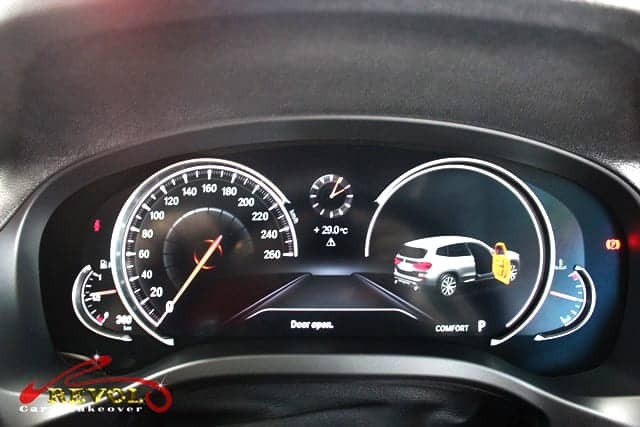 The new Multifunction Instrument Display (MFID) replaced the physical cluster with high definition display. 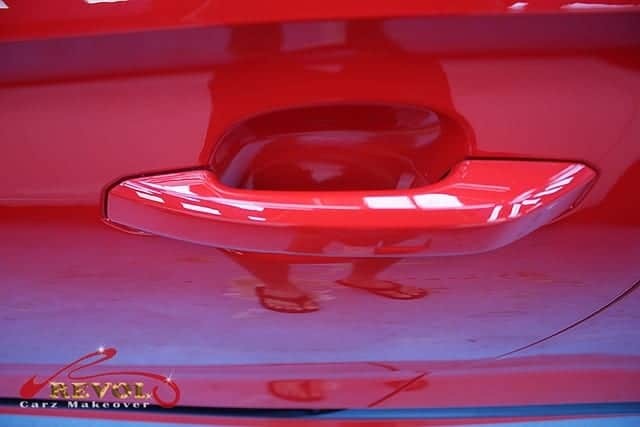 A closer scrutiny of the breathtaking deep gloss made possible only with ZeTough Ceramic Paint Protection Coating. 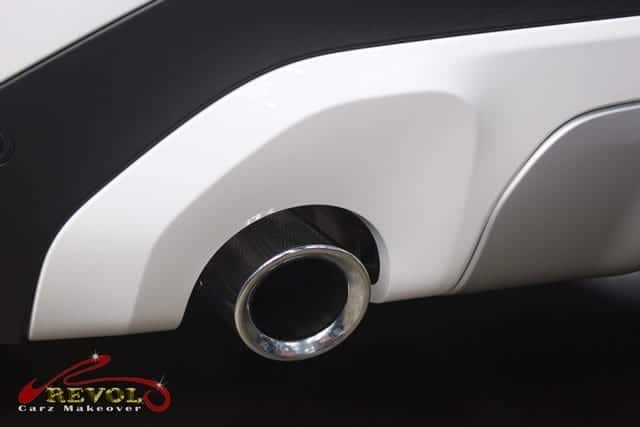 The power tailgate is a nice addition with a feel of quality. It makes life easier, especially when trying to load the family shopping. 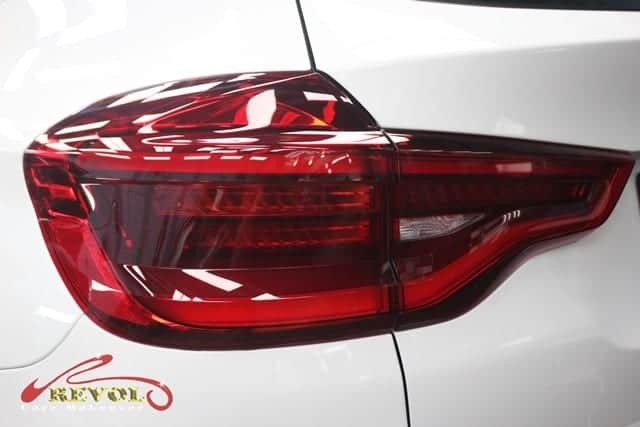 With love and patience, our detailers make sparkling gems out of the tail-lights. 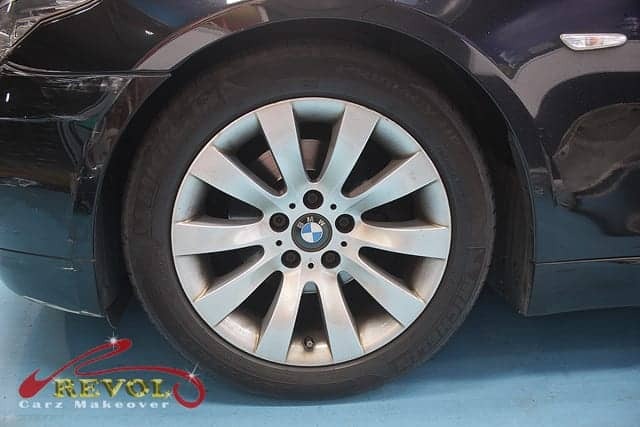 We removed all the wheels for ultimate restorations to complete the showroom glory to the BMW X3 SUV. 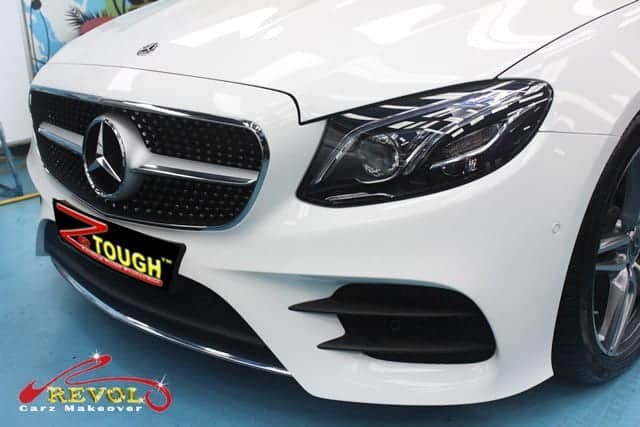 Consider ZeTough Ceramic Paint Protection Coating if you want a long-lasting investment for your car. 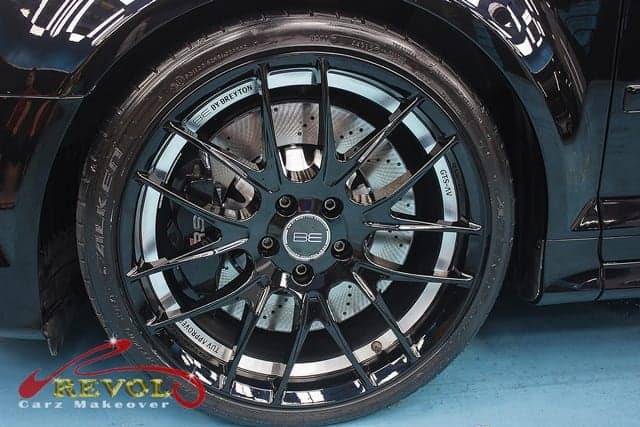 The special coating resists dirt and road grime better than traditional protection. 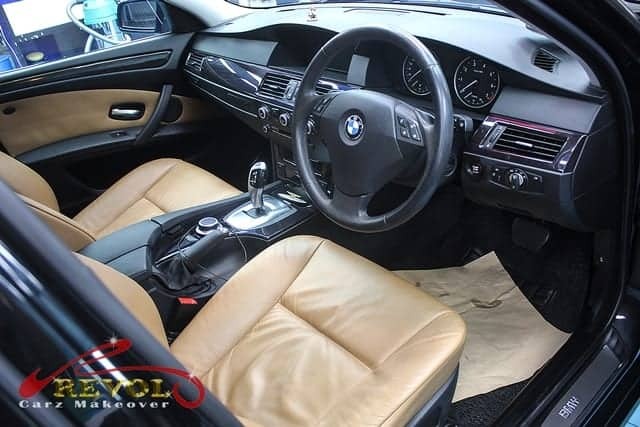 Your car will stay cleaner for a longer period of time and will be extremely easy to wash and maintain. 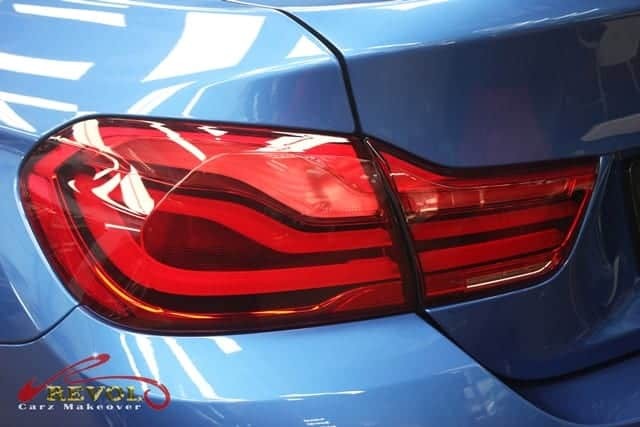 No other ceramic coating can match this level of slickness, durability and protection against UV damage, hard water spots, bird droppings and elements associated with everyday driving. 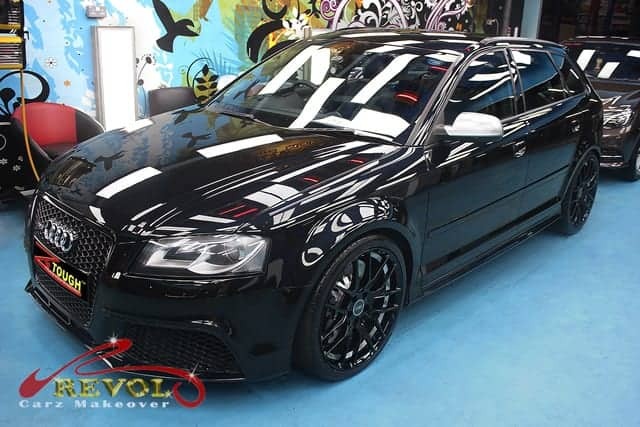 Impressed by the stunning makeover? 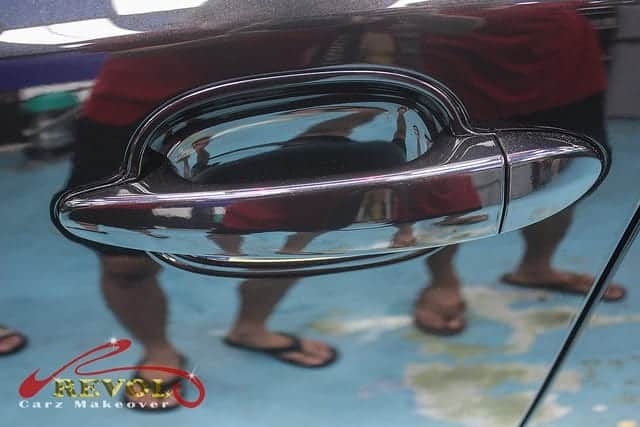 Your car too can enjoy the reliable, long lasting surface protection. 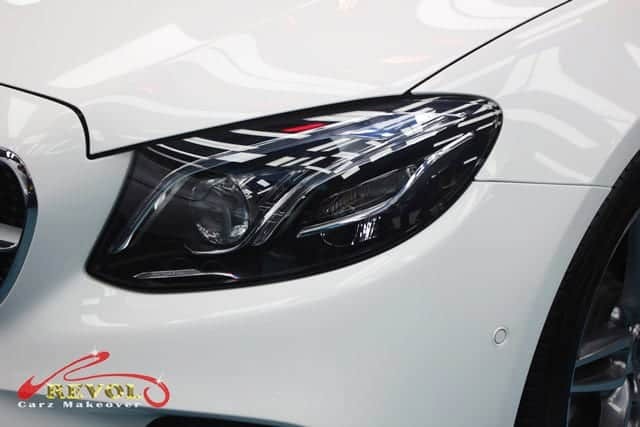 You can count on our multiple award-winning and proven, ZeTough Ceramic Paint Protection Coating. 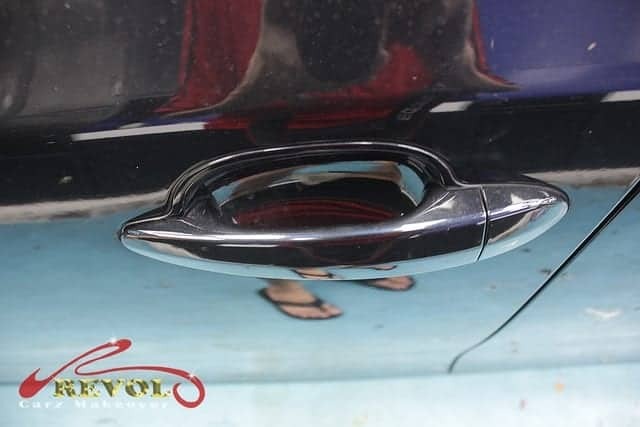 Yes, imagine what we can do for your car! May each day of the New Year be filled with good health, more opportunities, peace and abundance. 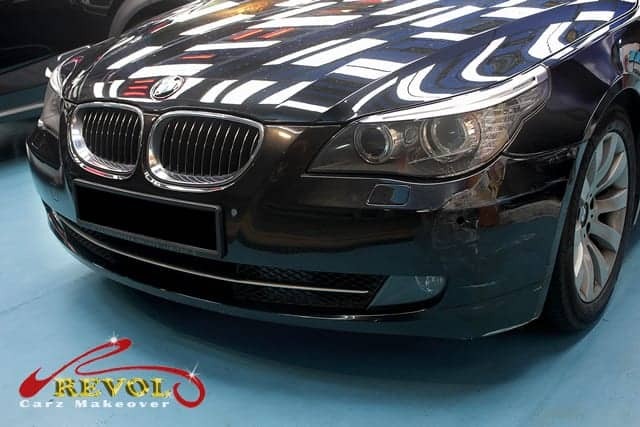 A BMW 730i arrives for a total gearbox overhaul. 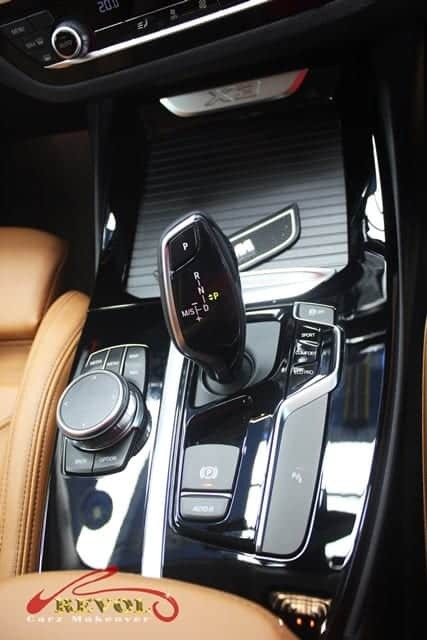 The gearbox (transmission) is one of the most vital components of any vehicle. Shifting problems or sudden skip in the gear can be a cause for concern. 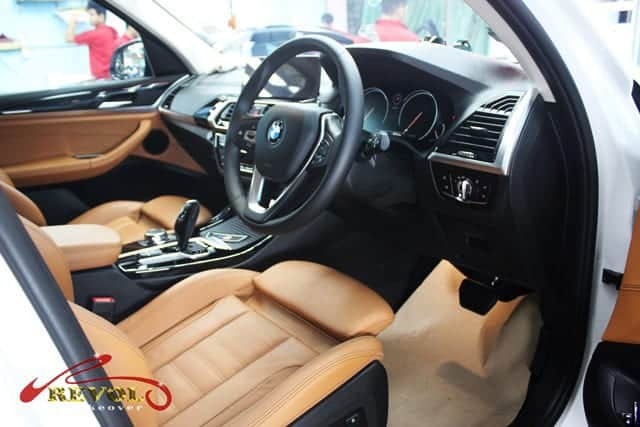 The transmission of the vehicle is subjected to wear and tear due to exposure to extreme heat and frictions. The Mechatronics module performs complex shifts operations. 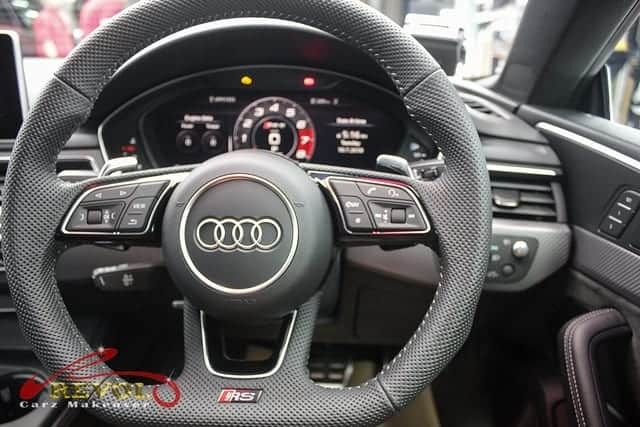 The gearbox control communicates constantly with the engine control unit and the “communications” determines the ideal point at which to make a gear change. In short, the Mechatronic components represent the brain of the gearbox. 1. Surging in Drive gear. 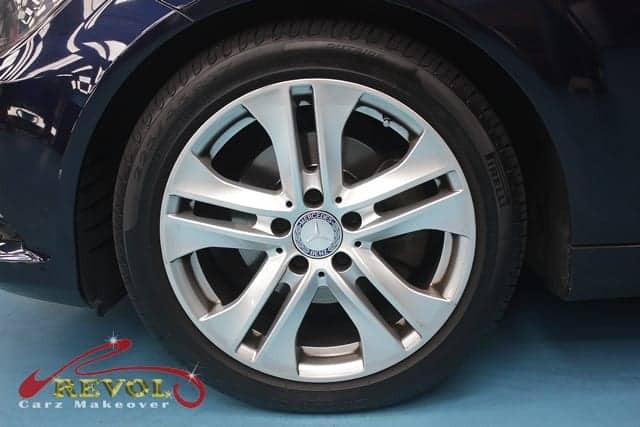 Revol Carz Garage offers a complete service on any transmission problem. 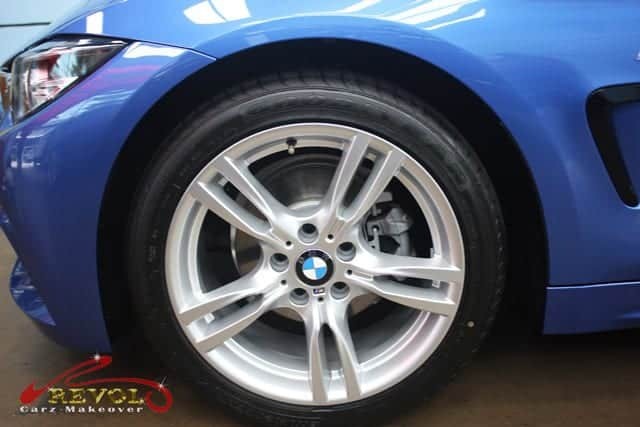 We have updated diagnostic equipment and expertise to pinpoint the fault in the gearbox such a burning smell, leaks, worn clutch. 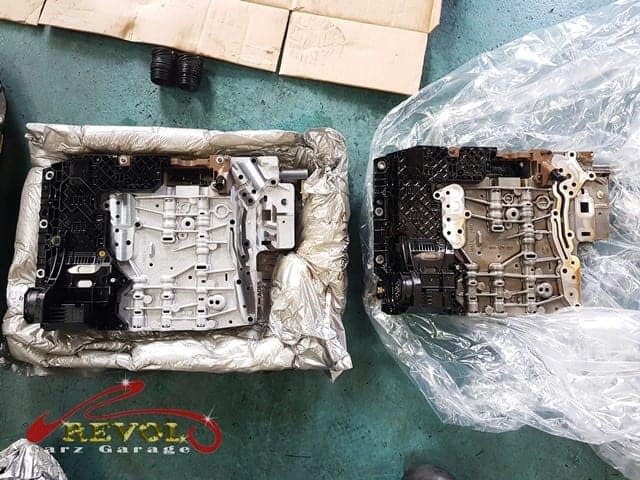 Gearbox repair or replacement is complicated and is best performed by professionals from reputable auto-workshop for safe and optimum performance. 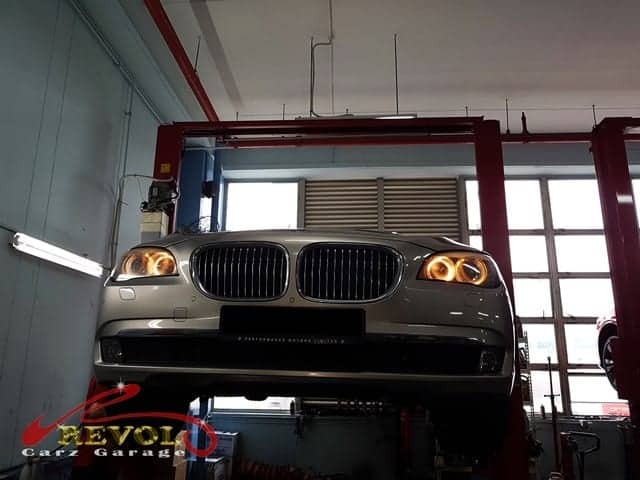 A BMW 730i arrives at Revol Carz Garage for a total gearbox overhaul. The car is lifted for 360 degree undercarriage safety inspection. 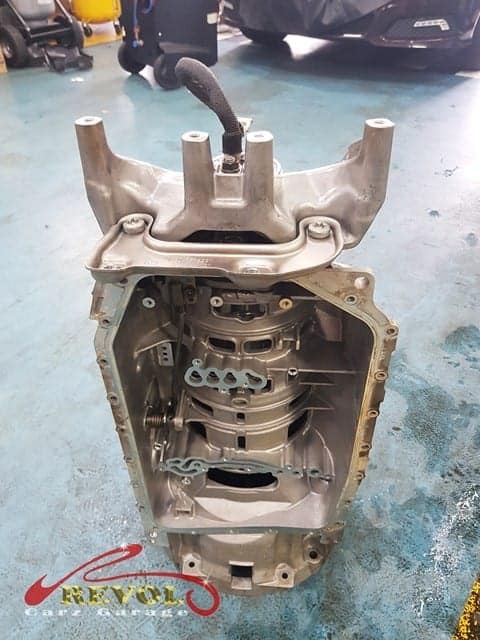 The whole gearbox is systematically dismantled from the car. 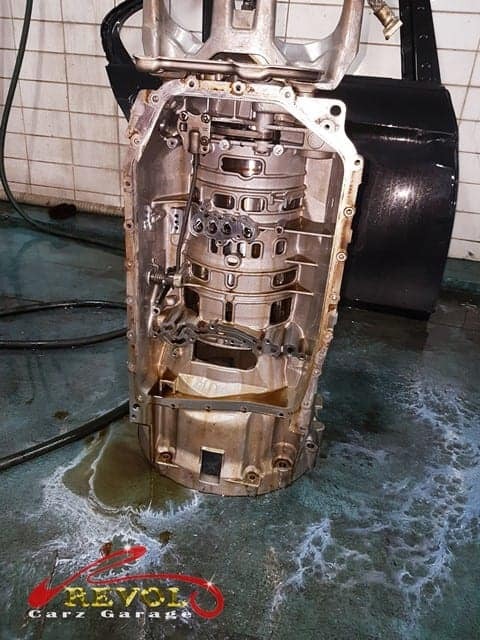 This is how the ultra-cleaned interior of the gearbox looks after careful cleaning. Here is another section of the gearbox after cleaning. Components inside the gearbox are professionally dismantled. The packing and repair kits are on standby for replacement. 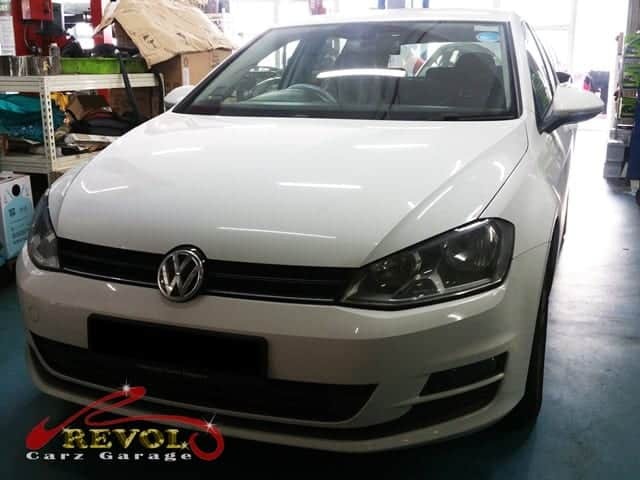 At Revol Carz Garage. The old and new Mechatronic components sit side by side waiting for replacement. The Mechatronic components are now successfully installed. 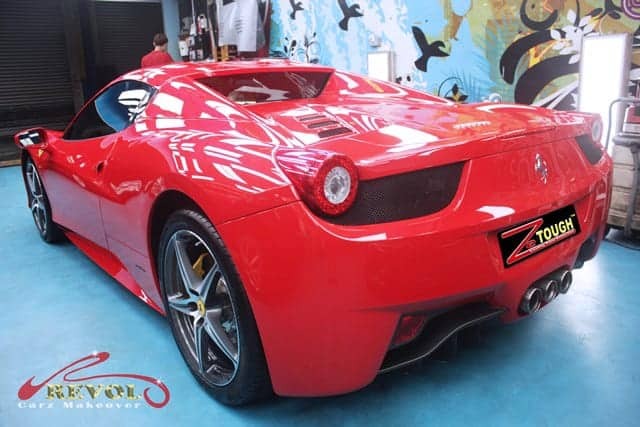 The new 2018 Ferrari 458 Spider,(first unveiled at the 64th Frankfurt International Motor Show), made its tumultuous presence at Revol Carz Makeover Workshop recently. 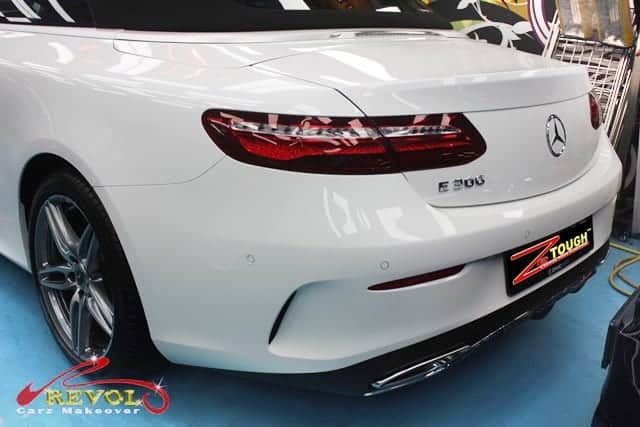 With the eco-friendly, ZeTough Ceramic Paint Protection Coating, we have passionately transformed the beguiling Spider to a head-turning, wondrous, ravishing beauty. 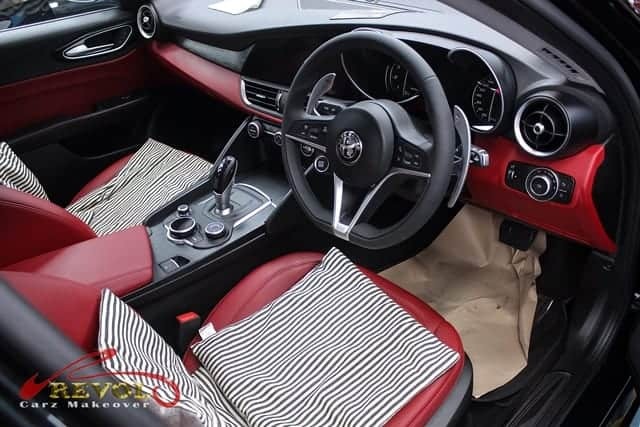 Despite years of tradition, Ferrari decided to make the roof not of cloth, but aluminum, which folds into a special compartment behind the seats in 14 seconds. 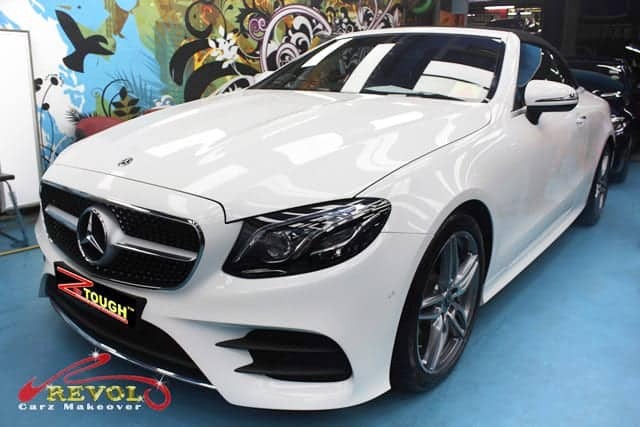 The aluminum roof actually weighs 40kg less than a traditional hard top and 25kg less than a fabric version. 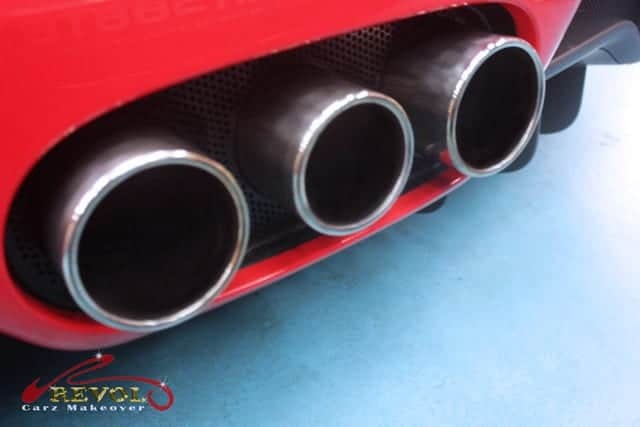 With an open-air experience, the Spider now allows the drivers to feel the wind rip through their hair and drive up their adrenaline with an overwhelming scream of the exhausts beckon off into the distance. 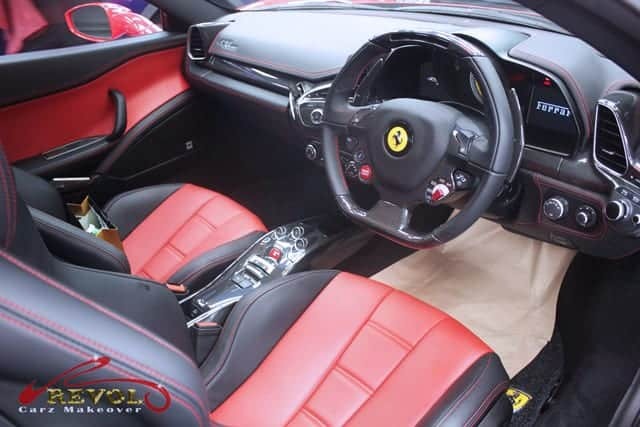 There aren’t many sport-cars that could even touch the Ferrari 458 Spider when it comes to speed. 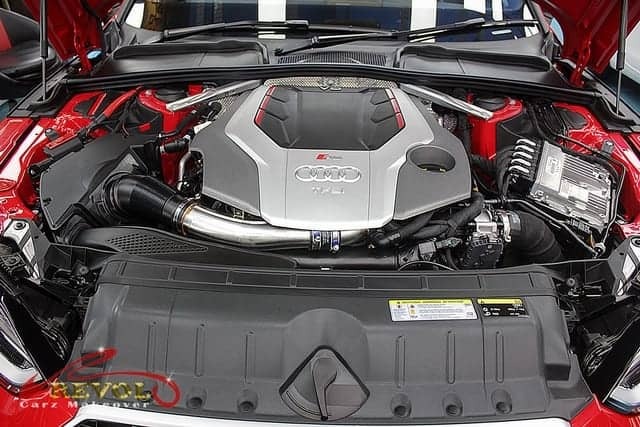 Under the hood, the “monster” 4.5-liters, twin-turbocharged V8 engine produces 570hp, 540Nm torque. 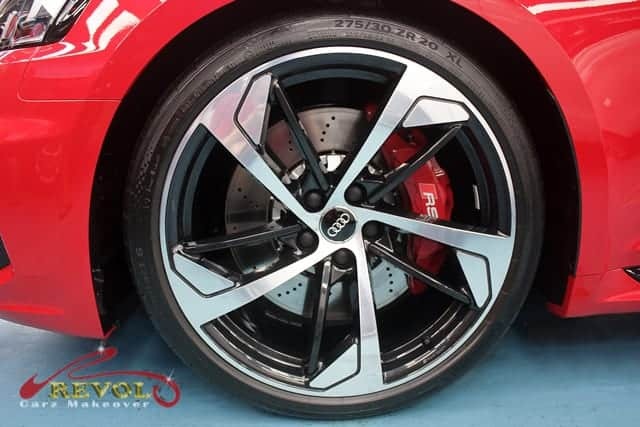 Featuring direct fuel injection, paired with the innovative F1-inspired suspension and seven-speed dual clutch, these make the Spider absolute best and certainly fastest sports car on the road today. 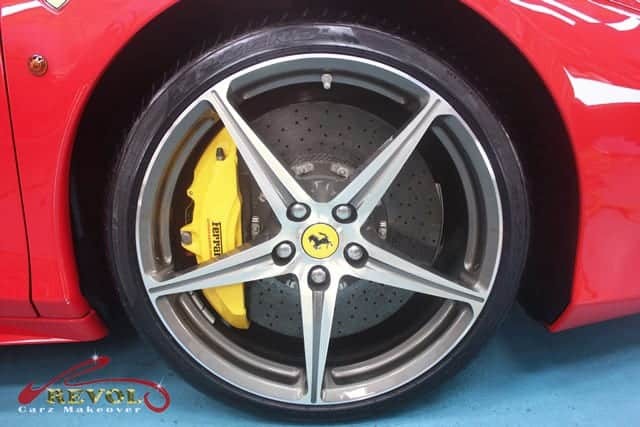 Mechanically on par with the Italia cousin, the 458 Spider is able to accelerate to100 km/h in under 3.4 seconds and has a top speed of 320 km/h. 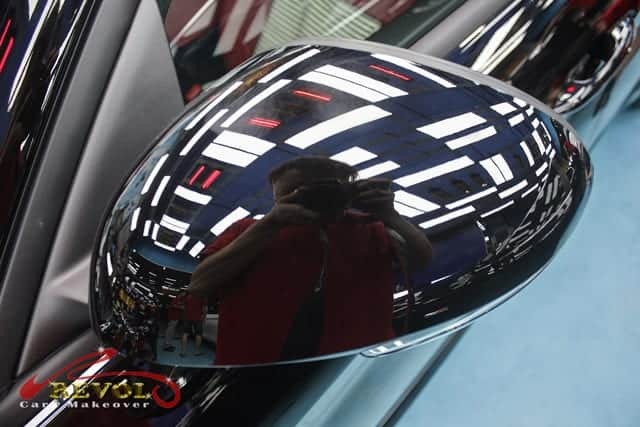 We posted the pictures below to accentuate the expertise of Revol’s workmanship and reveal the amazing effects of ZeTough Ceramic Paint Protection Coating that transformed the Ferrari 458 Spider to a flawless showroom condition. Be amazed! 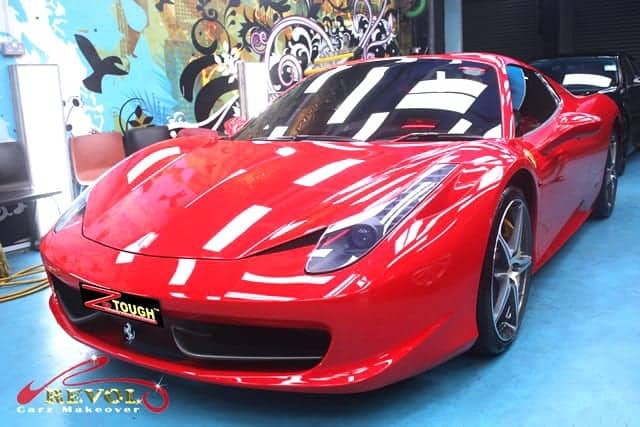 There aren’t many sport-cars that could even touch the Ferrari 458 Spider when it comes to speed. 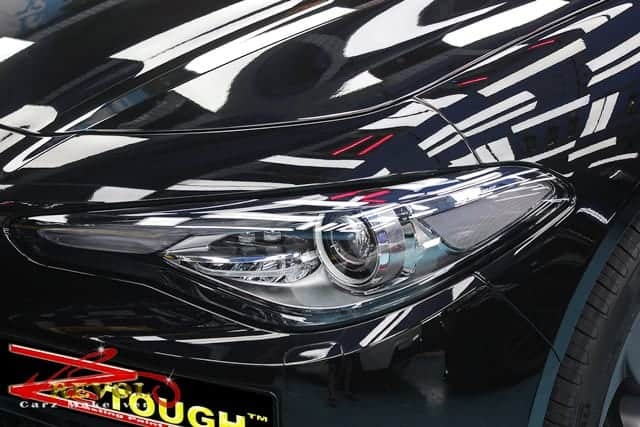 Also, there aren’t many other paint products that can match ZeTough Ceramic Paint Protection Coating when it comes to long-term exterior protection for all to see. 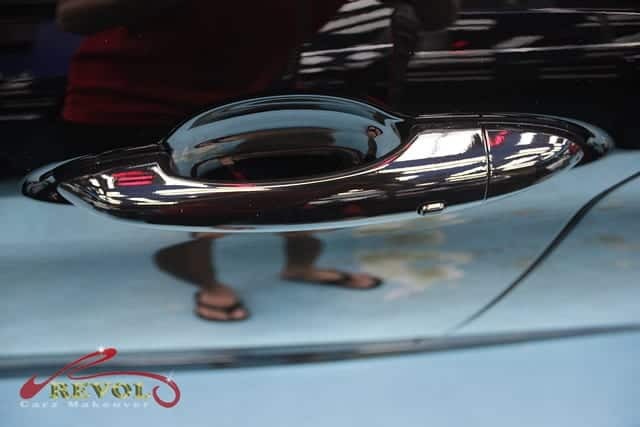 The 458 gets advanced aerodynamic features, including a flap ahead of the front fascia’s Ferrari logo that sends air under the car to create more rear down force at high speed. 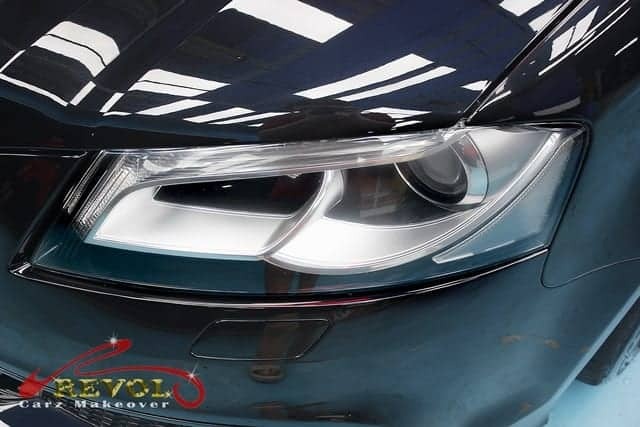 Polishing the headlights manually to crystal clear finish is the reward for our detailers. 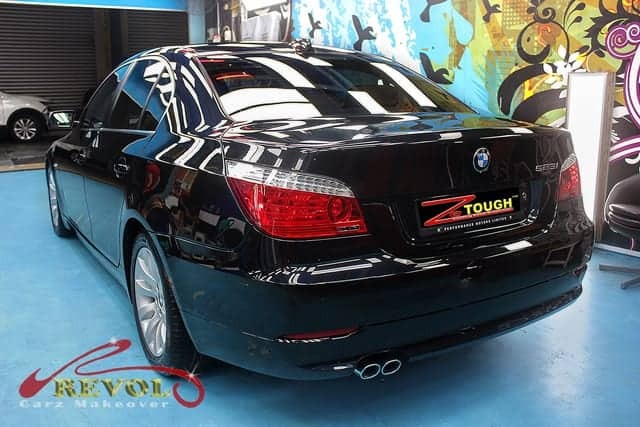 Driven by passion, the 4.5-liters, twin-turbocharged V8 engine is superbly cleaned and polished. The 458 Spider places the driver perfectly at the heart of the machine. 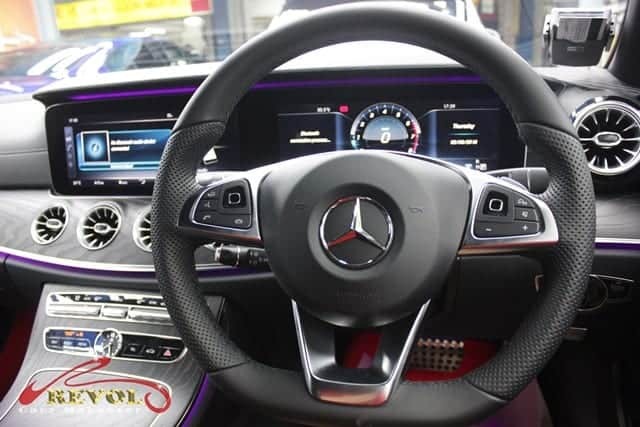 A meticulously clean cockpit means you can engage in the race confidently on the road. 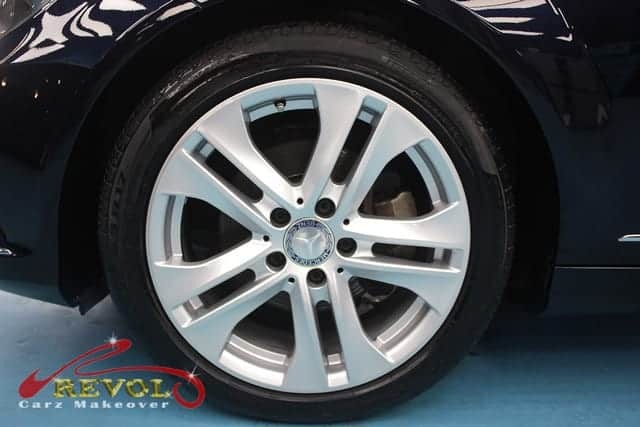 Revol’s professional detailers are proud to hand over an ultra-clean interior. 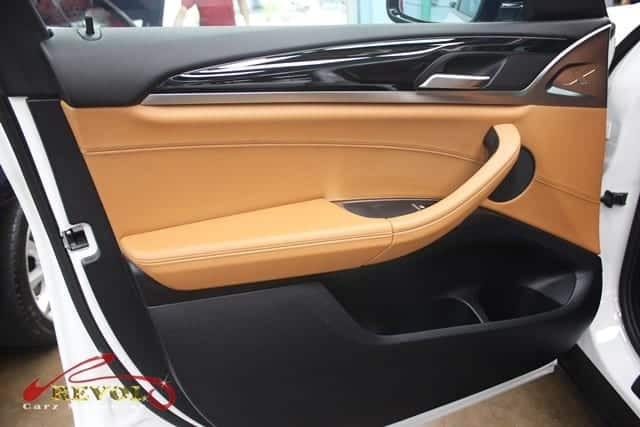 The Tunnel Console is absolutely dust-free, the leather upholstery cleaned, polished and nourished right down to the smallest detail. 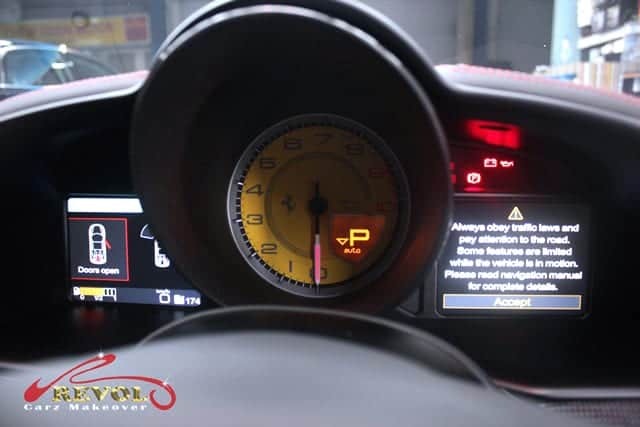 Many controls in the 2018 Ferrari 458 are relocated to the steering wheel. 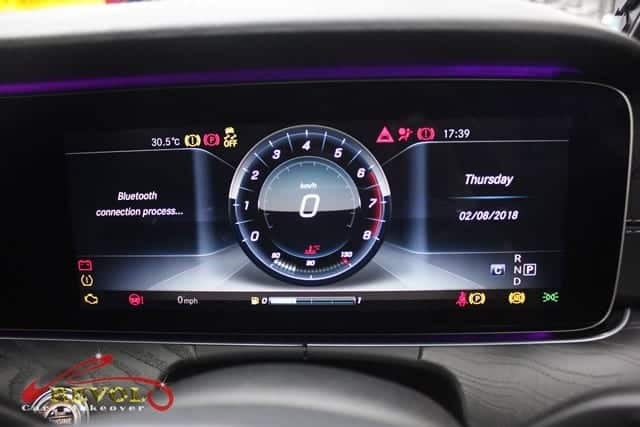 The main instruments and multi-media are at either side of the main display with the rev counter to the forefront – are now easier to use feel fabulously after detailing. 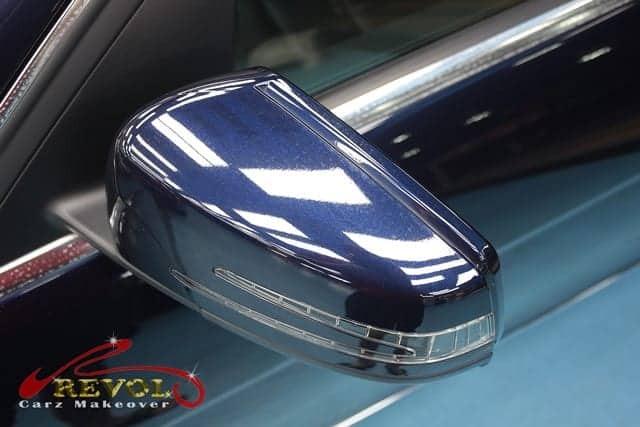 The stunning glass-like hardness and deep shine after ZeTough Ceramic Paint Protection Coating is fully cured. Now you see. Now you don’t! 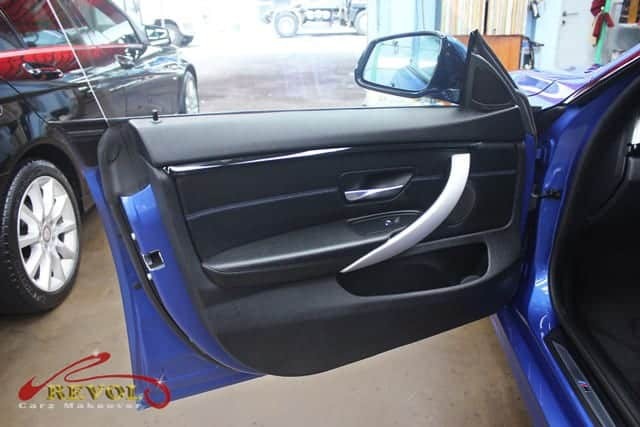 The innovative retractable hard top was the key to the styling of the 458 Spider’s exterior. 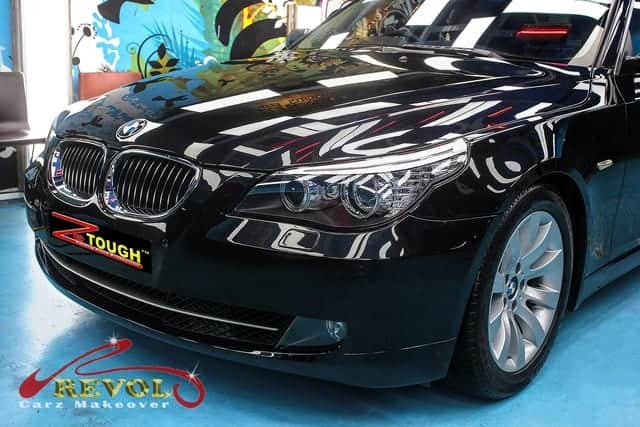 Look at how the Spider shines with the coat of ZeTough Ceramic Paint Protection! 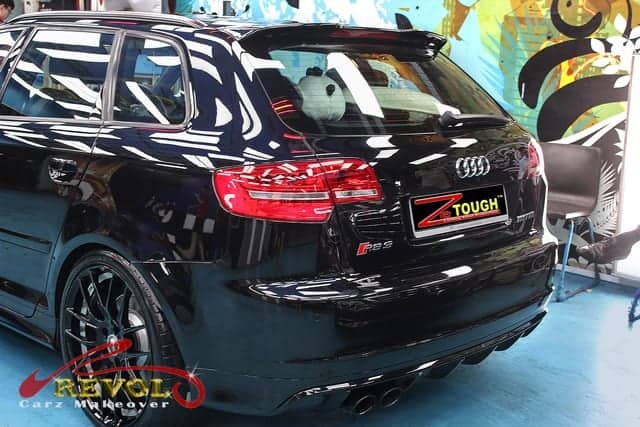 The rear diffuser with variable flaps and the brilliantly elegant blown spoiler facilitates maximum down force. 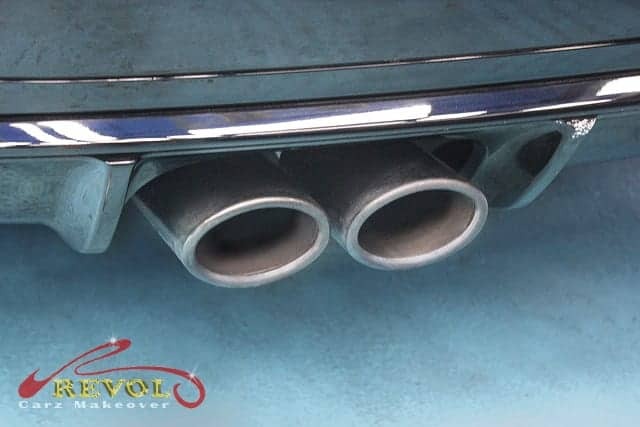 The three-tip central exhaust is cleaned and polished and fully restored. 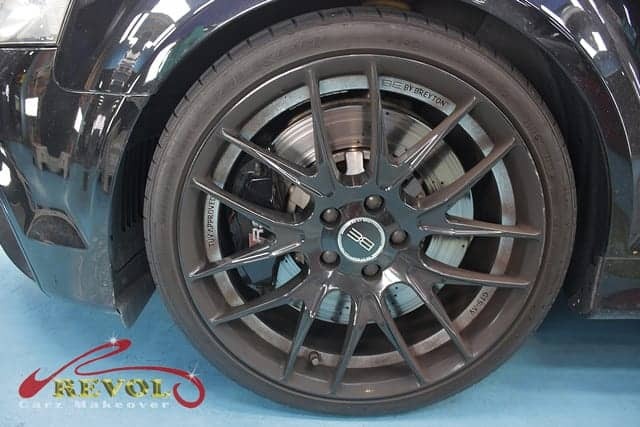 Ferrari 458 Spider’s 20-inch wheels were removed for cleaning, polishing and total restoration to look like brand new again. 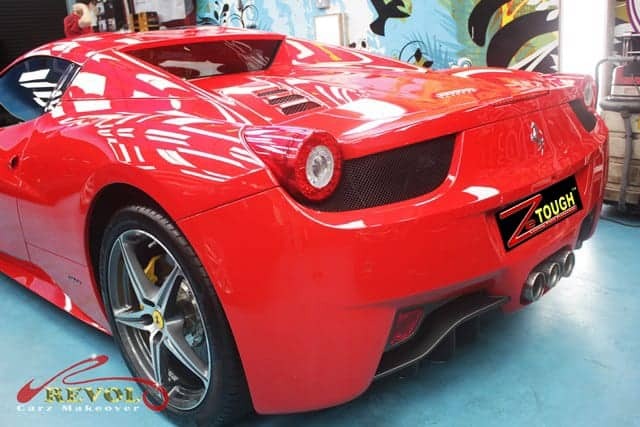 If Revol’s makeover of the Ferrari 458 Spider impressed you, wait till you see what ZeTough Ceramic Paint Protection Coating can do for your car too.